If sandy beaches and clear skies sound like a dream, check out these customizable packages that take you to the best beaches in Costa Rica. A beachfront property is the perfect way to keep the kids happy. 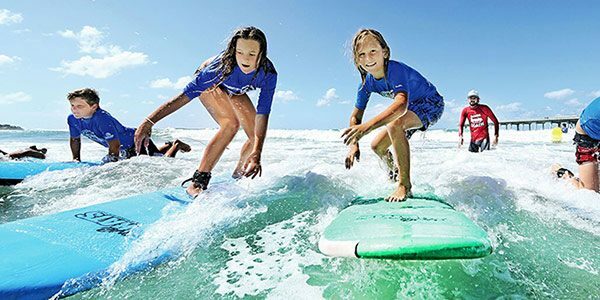 This kid-friendly vacation takes you to two beachfront properties to enjoy sunny beaches, great sunsets, and even water sports if you want to. Enjoy a getaway to one of Costa Rica's best beaches. The W Costa Rica is a luxurious hotel in a beachfront property, ideal for the whole family to relax and decompress in comfort and natural beauty. Escape from every day's hassle and enjoy a beachfront hotel with that person you love most. With an adult-only, all-inclusive experience, this package is the best option for anyone who wants to get away from the kids. Hit the beach for some relaxation and adventure. Unwind in an oceanfront location, admire the forest around you, and go out for some ziplining and ATVing. Costa Rica offers a wide variety when it comes to beaches. The country’s name literally translates to “Rich Coast,” and for a good reason. A Costa Rican beach is the perfect place to commune with nature, practice sport, enjoy romance, play, and unwind. There’s something for everyone: from families and all-inclusive stays to wellness enthusiasts and couples in search of boutique experiences. With the right type of knowledge, it’s easy to choose where to go. 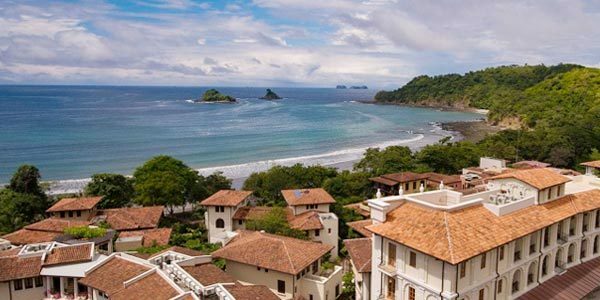 Whether it’s the dark sands of the South Pacific, which are great for surfing, up to the long sun-kissed beaches of Guanacaste, which are ideal for sunbathing and swimming, a perfect Costa Rica vacation is possible with proper help. This is why our Costa Rica vacation packages showcase the top beaches in Costa Rica. They’re also customizable! Browse, pick and choose, and let us put together the beach vacation of a lifetime! Coming all the way here, it’s natural to want to see the best of the best. There is a variety of must-experiences, hidden gems, and well-known landmarks that define Costa Rica as one of the most prestigious on the world travel map. So to find the absolute best beaches of Costa Rica it’s necessary to narrow it down to what you want. As they say, to each their own–think about the type of traveler you are and what you are looking for, and an expert guide can pinpoint where to find it. Classic family vacations, adrenaline-filled adventures, white sand, sun and relaxation, off-the-beaten-track getaways, group activities, watersports, coziness and privacy… Tell us who you are and we’ll tell you where to go! If you are still not sure what type of beachfront vacation is ideal for you, don’t worry. Contact us, and a travel consultant can guide you into the right path. Simply strike up a conversation and a personalized vacation package will be ready in no time. One of the biggest decisions when it comes to vacationing is what type of accommodation to book. Costa Rica has plenty to offer on that end as well. Boutique locations, large resorts, secluded hideaways or even bustling fishing towns are all available. However, it is important to decide whether a vacation rental or a hotel is better for the trip. Both hotels and rentals provide similar opportunities to experience luxury, relaxation, comfort, and even concierge services. The difference is mostly about what you are most comfortable with. On one hand, rentals often provide the opportunity of having more privacy. As individual homes, they are appointed with appliances and different amenities to use freely. Another big draw is the option to self-cater and cook your own meals, sometimes saving money or the hassle of finding a cuisine to your liking. This type of accommodation is particularly popular with larger families or groups of friends who want to stay close together and make the trip more cost-effective. In addition, everyone has their own space, and the kids can laugh and play while the adults get their own me-time to rest. Some rentals are located within larger resorts and provide access to sport and entertainment facilities, as well as restaurants and pools. Several rental homes even have concierge service to arrange any last-minute plans. Hotels provide a whole different experience. Whether it’s a boutique or an internationally-known resort, hotels are about being served. The most famous beachfront destinations in the country usually include luxury or all-inclusive stays, meaning more attention and pampering throughout the day. This usually means more visitors on the beach itself as well, but also more facilities to visit. An added advantage is that at these locations there’s no need to worry about meals, removing any stress from your shoulders. Depending on the type of hotel there are also different on-site activities to enjoy, both in and out the property. Once you’ve decided what style suits the vacation best, there’s the issue of location. Costa Rica has excellent options for different types of travelers dotted all across its coasts, with the Pacific being the most popular destination. Choosing the right one depends on what you expect from the beach and the property. Guanacaste, in the North Pacific, has a variety of rental homes to offer. One of our most popular locations is Las Catalinas. It’s a private, dedicated beachtown where families, groups, and couples find a swimmable beach with many on-site amenities. These include a club, a store, and a couple of restaurants. The Papagayo Peninsula is also a good spot to find luxury. Renowned for its luxury resorts, this is the home to the Four Seasons. This compound offers rental lodgers the use of its facilities, making for a private, high-end stay. The peninsula also provides the calm waters of both Culebra Bay and the Pacific Ocean. Flamingo beach is another popular destination. Here rentals like The Palms are a good spot for those who want to be within easy reach of local towns but want privacy and comfort. The beach is just steps away, and it gives children the freedom to run around and be free. 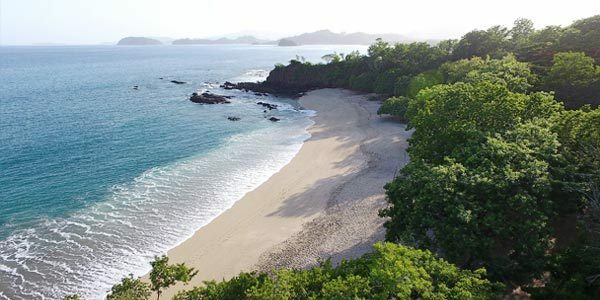 Another renowned destination in Costa Rica for beachfront vacations is the Manuel Antonio area. Here it’s not just about the beaches, but the proximity to the iconic rainforests and wildlife of the region. Here beachfront is not as easily done. Most lodgings that directly face the beach are usually smaller and do not offer that good a service. However, many others are located within easy access of the coast, and usually provide better views of the area as well. While in Guanacaste the ocean is usually calmer and quieter, in the Manuel Antonio area it’s not exactly swimmable. There are more waves and reefs, which make it better for surfers, anglers, and watersport enthusiasts. Whether you’re traveling with family, friends, or with your other half, there is a beach out there for you. Take a look at some of our most sought-after and famous beaches. Costa Rica is a great destination for a family-friendly beachfront getaway. There are several beaches across the country, each with its own unique appeal. This is our top three beaches based on their accessibility, the number of available family-friendly activities, and the safety of both the ocean and its surroundings. For a unique beach, Playa Conchal is a must! The beach is made up of tiny shells that will keep kids and adults entertained as they search for perfect little treasures. The crystal-clear water is inviting for a swim, and watersports such as kayaking and snorkeling are available, too. Accommodation options are at Reserva Conchal, offering world-class oceanfront golf and luxury. The most popular is The Westin Playa Conchal, one of the most luxurious all-inclusive resorts in the country. The beach is public but frequented mostly by hotel and villa guests. Service and lodging here is 5-star and indulgent. Other options, such as the W Hotel, are also available. Playa Panama seems to be fronting a lake rather than the ocean, making it perfect for families. Located in the Papagayo Gulf, it’s protected from the waves so smaller children can play on the water’s edge or swim without fear. This is also a great beach for activities like stand-up paddleboarding, kayaking, and riding a banana boat! Manuel Antonio is considered the best beach in Costa Rica for a good reason. It shows up almost anywhere where Costa Rica is mentioned, and it’s all due to its unique combination of beach and jungle. If you are in search of Luxury, then it doesn’t get better than Guanacaste. There are both large resorts and boutique hotels where you can sit back and relax. Papagayo Bay is the home to several luxury resorts including the famous Four Seasons resort and Andaz Peninsula Papagayo. The entire peninsula is exclusive and non-hotel guests are only allowed access by hotel shuttles that go to three designated public beaches. The views are majestic as the peninsula curls around offering views of the Guanacaste shore and nearby islands. Punta Islita, a remote little beach town on the Nicoya Peninsula, revolves around the daily working of the Hotel Punta Islita, a world-renowned boutique resort. The hotel is not only luxurious, but it is also sustainable environmentally and socially speaking. The hotel offers the majority of employment to the local population and offers empowerment programs, making it a perfect destination for a romantic getaway. The southern Pacific, particularly in the Osa Peninsula, is especially eco-conscious and protective of the pristine coasts and abundance of wildlife you find there. Most hotels from the area participate in eco-friendly practices and are happy to share how they stay sustainable and with a low impact on the environment. Accommodations can be described as eco-luxury, meaning WiFi and TV are probably not offered but they have an elegant design with world-class service. Beaches here are also a little harder to access, so stay for a few days to really be able to explore and enjoy them. It’s an opportunity to get off the beaten path to reconnect with nature. If what you want is calm waters to swim or practice other sports, there are many options, but these are the favorites. Northern Guanacaste’s Playa Hermosa—which can be translated to ‘Beautiful Beach’—stands by its name. It’s a few miles of white sand shore curving around the calm waters of Culebra Bay. Flamingo beach is another gem of Costa Rica’s golden coast—north Guanacaste. Its white sand and gorgeous sea with generally clear waters have a soft break where beachgoers can enjoy swimming, boogie boarding, stand-up paddleboarding, and sunbathing. Sunsets are truly remarkable, so make sure you’re on the beach at 5 pm to enjoy the spectacle! Surfers and backpackers often search for a more laid back atmosphere, and Costa Rica’s Pura Vida lifestyle is the embodiment of relaxing and enjoying the journey. In the true spirit of backpacking, Costa Rica Vacations doesn’t really have connections with these smaller businesses and visitors are invited to do their own exploring. Getting to Santa Teresa, on the Nicoya Peninsula, is an adventure in itself. The long trip and dusty roads may deter luxury travelers but it has become a mecca for backpackers and surfers looking to travel off the beaten path. The consistent break is a big draw for those looking for a day of action amongst the waves. Puerto Viejo, on the southern Caribbean coast, is a big backpacker destination. It’s within boating distance to the infamous Salsa Brava surf break, the best on the Caribbean coast and the only one in Costa Rica that could be compared to the conditions of Hawaii. The vibe here is Rasta with reggae music, bright colors, pristine beaches, and limited development. 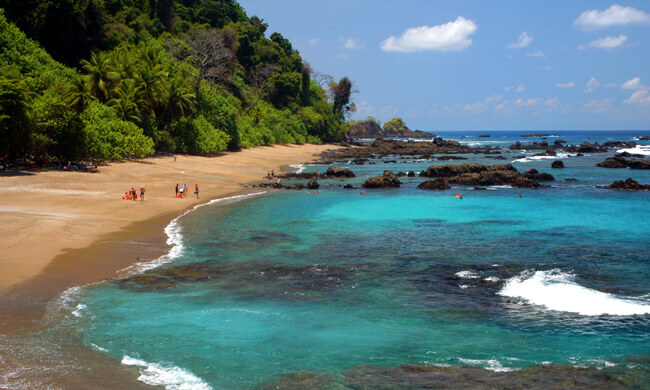 Less than an hour south of Manuel Antonio is the small surf town of Dominical. Follow the one main road past the row of small shops and eateries and you’ll find the beach. The break is not for the faint-hearted and when there are storms off the coast you can feel the vibrations of the waves pounding in your chest as you watch from the beach. The area features popular surf competitions several times throughout the year that are fun to watch, even if you don’t venture into the water. Jaco is the go-to surf destination for locals and travelers alike due to its easy access from San Jose. From surf lessons for beginners to competitions for those that already know what they’re doing, Jaco and Playa Hermosa, just to the south, are great places to hop on aboard. A Costa Rica vacation by the beach is not far away. Simply contact us and we can make it happen! How to Pick A Beach Hotel Perfect for You? In Costa Rica, swimmable beaches are few and far between. If this is important to you, talk to our Travel Consultant to get the best recommendations, based on your preferred travel style and type of lodgings that’s the best fit for your group.